A trip to Baguio City will never be complete without bringing home Ube Jam, Strawberry Jam or Peanut Brittle from Good Shepherd. Throughout the years, these remains to be the top choice of pasalubong from the City of Pines. The Mountain Maid Training Center (MMTC) is the only authorized distributor of Good Shepherd products in Baguio City. To ensure freshness and quality of the products, make sure that you only by your Good Shepherd pasalubong at MMTC. They accept cash, debit cards and credit cards. Below is the price list of Good Shepherd products sold at Mountain Maid Training Center. You can use this list as your reference for you next visit to Baguio City. But please note that items are subject to availability depending on production and demand, so some items may not be available during the time of your visit. Good Shepherd is located near the Mines View Park and is easily accessible by car or by taxi. Taxi fare is between P60-P100 depending on your point of origin. pwede po omorder tru online???? can i order via online? 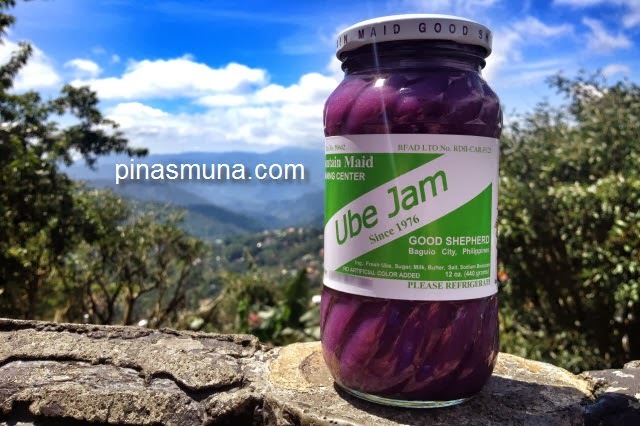 pm me please..
i want your ube jam..id like to order 2 ube jams 24 o.z..thank you..
sarap naman nyan. magkano po?